Welcome to Maternal Mental Health Matters. My name is Patricia Tomasi. I’m a Canadian freelance journalist and maternal mental health advocate. My focus turned to maternal mental health after experiencing postpartum bipolar disorder twice. I’ve written many articles on maternal mental health for HuffPost Canada and other publications in an effort to understand the condition and more importantly, the reason behind the lack of services available to properly screen and treat moms (and dads!) who may be or are experiencing the most common complication of pregnancy and childbirth. 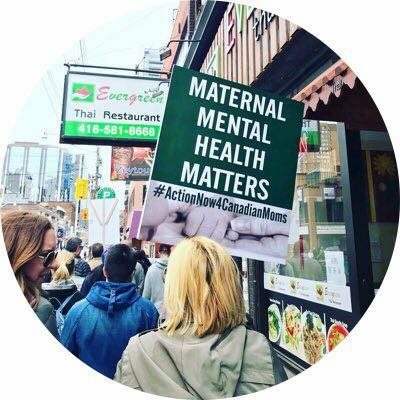 In 2019, I co-founded the Canadian Perinatal Mental Health Coalition, an organization of moms calling for a Canadian national strategy on perinatal (pregnancy and postpartum) mental health. I’m currently working on a book about the history of maternal mental illness. If you would like to share your experience, please email me at tomasi.patricia@gmail.com. If you want to get involved in maternal mental health advocacy, consider joining the Canadian Perinatal Mental Health Collaborative or one of many other maternal mental health organizations throughout the world.